But it’s been eventful in a quiet sort of way. Things have become difficult as of late at work. Because of various reasons, I won’t go into specifics. But someone I respect and trust has actually resigned and for the same reasons I’ve been having trouble. I feel validated by this for some reason. I guess I’ve always wondered if it’s actually been my own attitude and negative thoughts…if they’ve been coloring my perspective. Looks like the answer is no. While this is the source of my struggles at the moment, I don’t think it’s a good idea to speak about them at length. I’ve made that mistake in the past and I do not intend to make it again. However, I currently believe that it may be a ploy to distract me from my newfound goals. And what goals are these, praytell? I will be published by the end of the month. I will get an Agent within two months. I will have a synopsis and query letter for Soul of the Scribe by the end of the month. Probably. Never stopped me before. I’m going to publish on Kindle first of all. 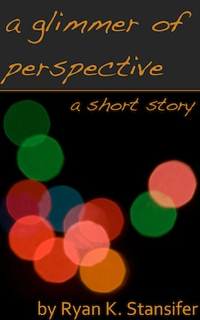 I plan to publish one of my short stories. It will either be “A Glimmer of Perspective” or “Beyond the Waterfall.” I just need to revise them up to snuff before I decide which one. Heck, I might do both. Who knows? I’m sick of waiting. I’m sick of not doing anything. So I’m setting serious goals. I’m going to make this happen. In the same vein, I’m happy to announce that Soul of the Scribe is DONE. I finished my final readthrough of the story last week and I finished Laura’s editing notes a day later. That’s when this stuff begun. I now have constant reminders and a checklist of my goals for writing. The best part of this is the simple fact that I finally have a real goal. Since I got my promotion at work, I’ve felt listless and without direction. I’m one of those people who always need something to strive for. Now, I have a target. And when I get set on something, nothing can stand in my way. I’m kinda stubborn like that. I’m actually taking the time from working on “Waterfall” to do this. Lately, I’ve been crushing my blog in at the last moment on Sunday night during work. It means I’m going to make this happen. One way or another, I’m going to get published. I will FINALLY have my work out there. And hopefully, some enormous publisher will fall in love with my writing, offer me half a million dollars in advance, and maybe get to do what I love full time. Hey, I never said I dreamt small. Let’s see…how about something cheerful and smiley for you folks tonight? Saddle up folks. It’s going to be a wild ride.